Have you represented a property with a verbal easement? If so, did the buyer or seller get an Improvement Location Certificate (ILC)? If not, you could end up with a headache – or a lawsuit. 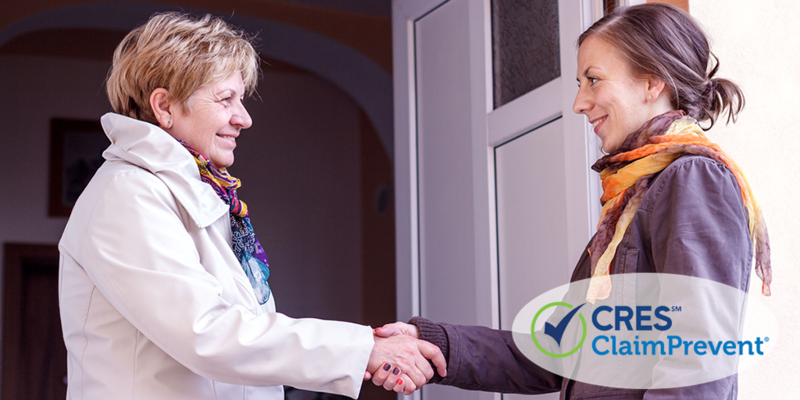 We’ll share an agent’s actual experience and show you the best way to handle past and future sales. Recently, CRES Risk Management got a call from an agent who represented the seller in a transaction where the seller had a verbal easement. In this case, it was a verbal agreement with their neighbor that the updated driveway placement was allowed and was not unlawfully encroaching on the neighbor’s property. At the time of sale, neither the seller nor the buyer got an ILC. The Certificate would have provided a legal record that the driveway on the property was not unlawfully encroaching in the neighbor’s property (in legal terms, that it was not in violation of easement encroachment). Because there was no ILC, the only record was the seller’s disclosure to the buyer that they had a verbal easement agreement with the current neighbor for the driveway. Could a Verbal Easement Turn into a Lawsuit? The former seller’s agent is a CRES client, who wisely contacted Risk Management Legal Services about this situation. Because they brokered the original sale, the agent was concerned that they or their former seller client could be liable in a claim situation with the new owner or any future buyer, based on not obtaining an ILC during the original sale. Additionally, counsel noted that the agent should keep a written record of communication from the original sale they brokered and new communication with the buyer regarding the verbal easement situation. The documentation of the seller’s and buyer’s decline to obtain an ILC at the time of original sale is particularly important. Counsel advised that in similar situations in the future, the agent should have a seller obtain an ILC, at the time of sale, along with a written and signed agreement between both a seller and neighbor to protect themselves from claim liability. At CRES, this is just the kind of issue we want to hear about. The agent can take steps in this particular case to avoid a potential lawsuit—and they know what they can do in future situations to reduce risk. That’s the benefit our CRES Real Estate E&O + ClaimPrevent® clients gain — a real estate legal advice team included with your policy to help with potential claim issues and risks. We’re here to help before issues become lawsuits. What questions or concerns do you have about verbal easements? Your clients will thank you!